The island Koh Mook is still an insiders’ tip and a true dream destination. There’s almost no tourism yet on this island, which belongs to the Trang region. 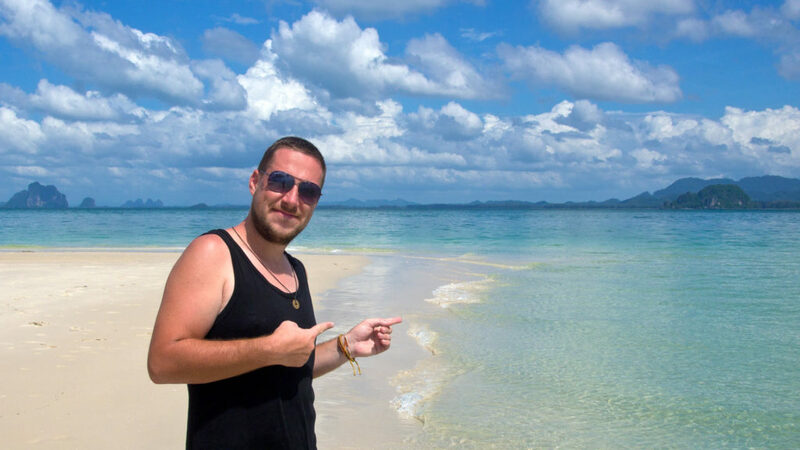 It’s very quiet, has fascinating beaches and is perfect for island hopping to the surrounding islands such as Koh Kradan or Koh Ngai. Koh Mook is located at the western coast of Thailand in the Andaman Sea, but is pretty much unknown to many Thailand travelers. 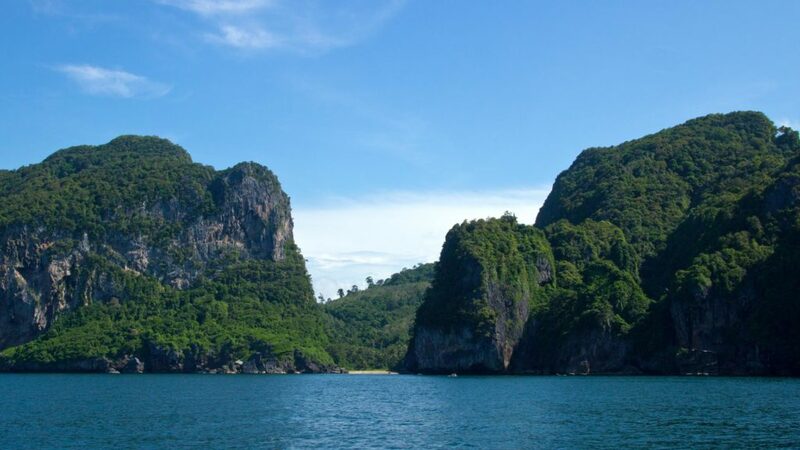 Who travels to the west side of Thailand, most probably visits places like the lively Phuket, the beautiful Krabi, the famous Phi Phi Islands or the quiet island Koh Lanta. But the idyllic Koh Mook has quite a lot to offer. How you can get there and what you can see, we will show you in this article. 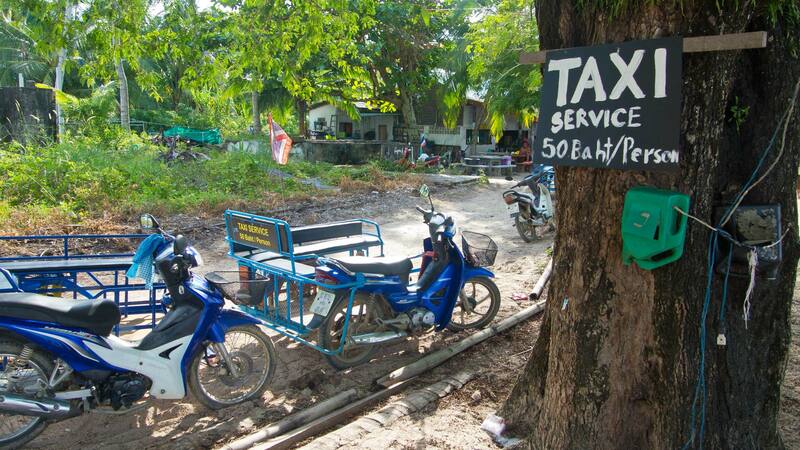 Since Koh Mook is a small island and doesn’t have an airport, many people would consider the journey as difficult. From the view of a package tourist this might be true, but as an independent traveler not really. Attention: At the moment there aren’t any ATMs on Koh Mook and you should definitely not forget to bring some cash money with you. 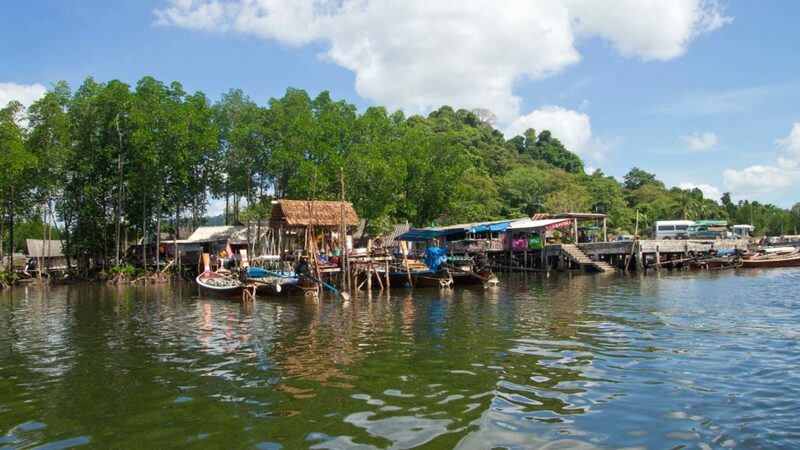 In the town of Trang you can find some small travel agencies near the train station that are all offering tickets to the Trang Islands. We definitely would recommend you to get your ticket at Andaman Island Tour & Travel near the train station. The owner Gift speaks good English and offers a great service. We purchased our tickets from Trang with the mini bus to the Kuan Tung Ku Pier and from there with the local ferry (about 30 minutes to Koh Mook) for about 200 baht per person. The pier is about 45 minutes away from the town of Trang. In the high season (approximately from Dezember to April) there are 3 ferries departing to the island. 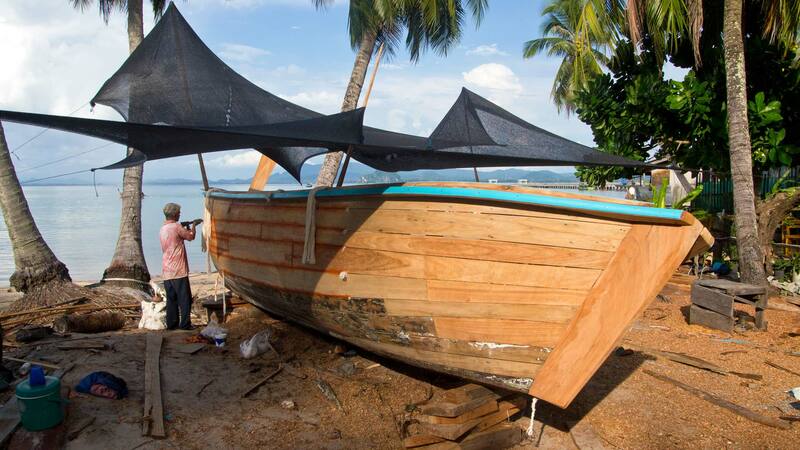 Also you can go to Koh Mook with a longtail boat, which is slightly more expensive (about 250-300) but also faster. Passing many limestone rocks, mangroves and sand banks, we finally reached the ocean. From here you can already see Koh Mook and this will give you a pleasant anticipation. 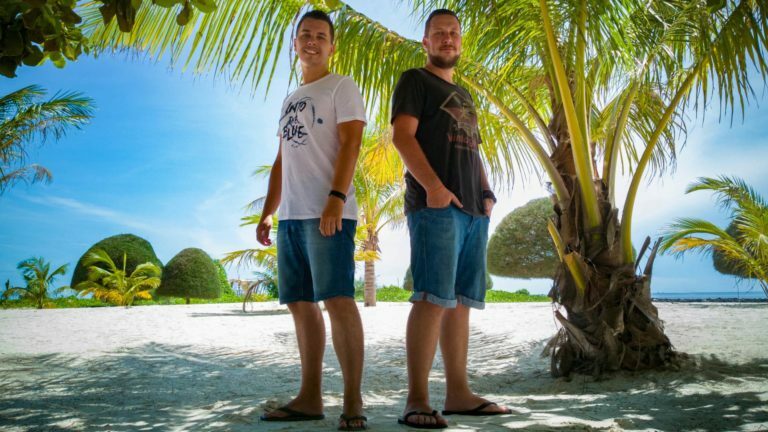 If you have ever seen pictures of Koh Mook before, then you will probably know the photo of the famous Sivalai Beach Resort with its small promontory that simply looks amazing. After roughly half an hour the boat arrives at the pier of Koh Mook and from here it’s just a few-minutes walk to the village and all the accommodations around. Everything is very quiet and the atmosphere just so relaxed on this island. By the way: Trang can be reached by airplane, train or bus from many destinations in Thailand. You can find times as well as prices for flights at Skyscanner and train and bus connections at 12go.asia. 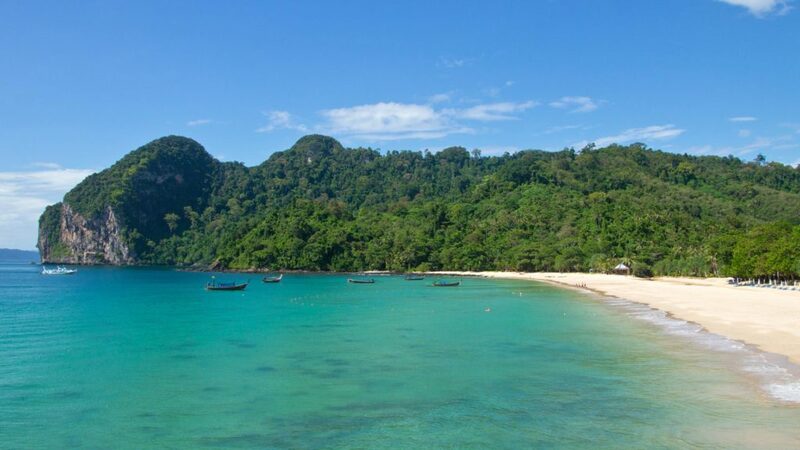 For tickets from Trang to Koh Mook, we can absolutely recommend Gift from Andaman Island Tour & Travel. 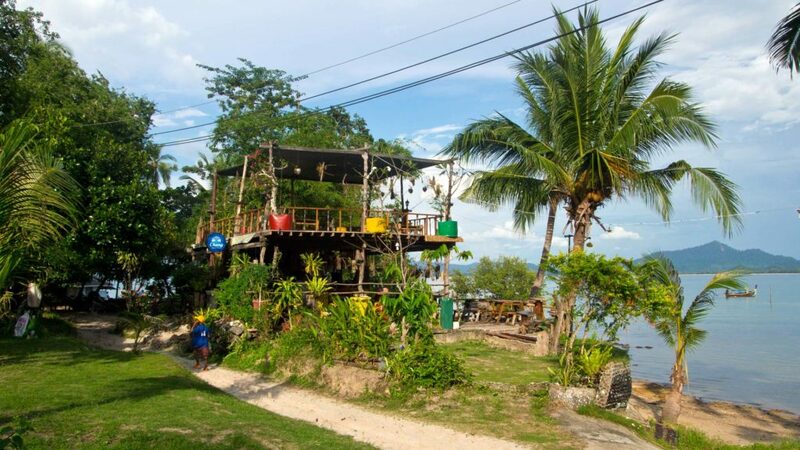 Although the choice of accommodation on Koh Mook is limited, some new accommodations has been built in recent years. 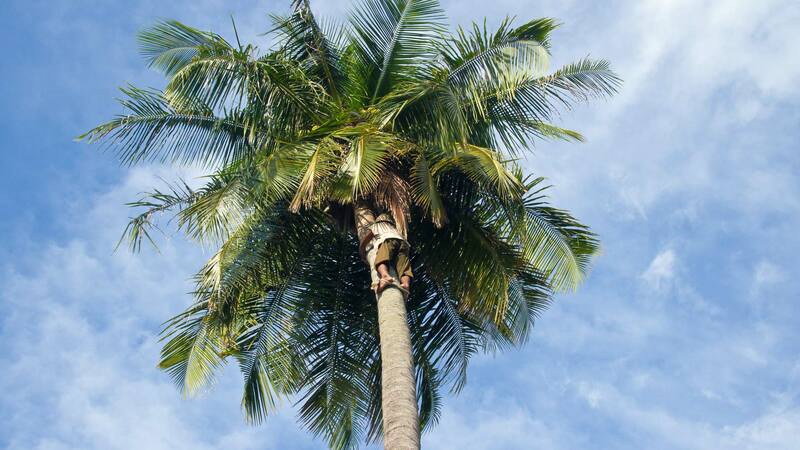 A highlight is of course the famous Sivalai Beach Resort. We did not stay there but went through the resort and looked closely at everything. It just made a great impression! If that’s not in your budget, Mook Ing Lay is more than a good choice. The bungalows are located in a beautifully landscaped garden and are very clean. The resort is almost right on the pier of Koh Mook, so you do not have to walk around the island after your arrival. Absolutely recommended. Even a little cheaper is the Mook Anda Resort. The simple bungalows are all equipped with a fan, fridge, cold shower and of course a bed. For a few days this is more than ok. The price was about 400 baht for the wooden bungalows. Also the bar of the resort is a nice place and you can see the Sivalai Beach already from here. With Reggae tunes and good food you can spend the evening nicely. However, you can not see the sunset from here since the sun sets on the other side of the island at Haad Farang. The promontory is also often referred to as The Wing. 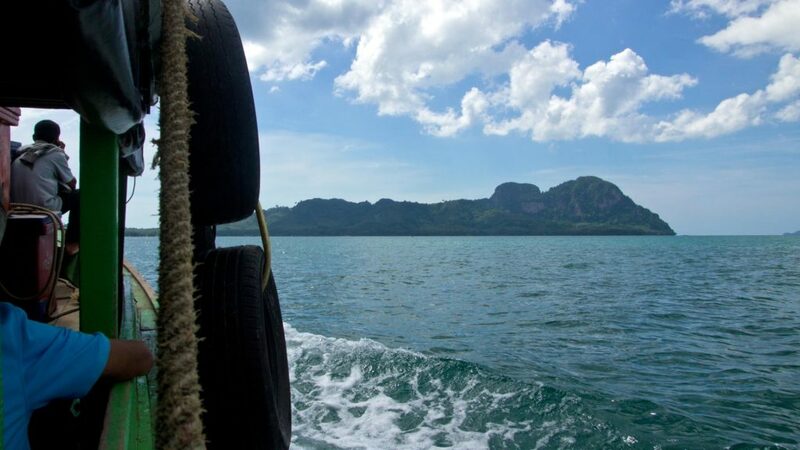 From here you have a very nice view at the mainland of Trang, but also at Koh Mook and its mountains in the background. Even if you are not staying at the resort, you can still walk along the beach and enjoy this white sand beach. You can easily reach the beach from the village Baan Koh Mook from the pier. It’s definitely one of the island’s highlights and totally a must-see! The next beach highlight is the Haad Farang, also called Charlie Beach because the Charlie Beach Resort is located right here. 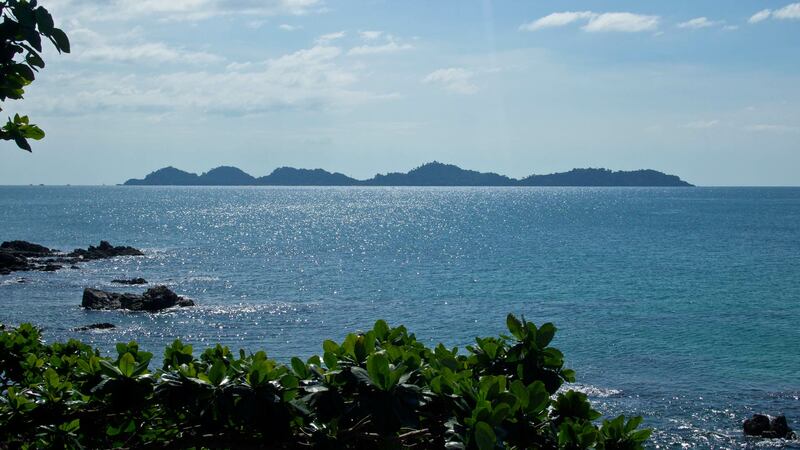 You can find the beach on the other side of the island with a view on Koh Kradan. 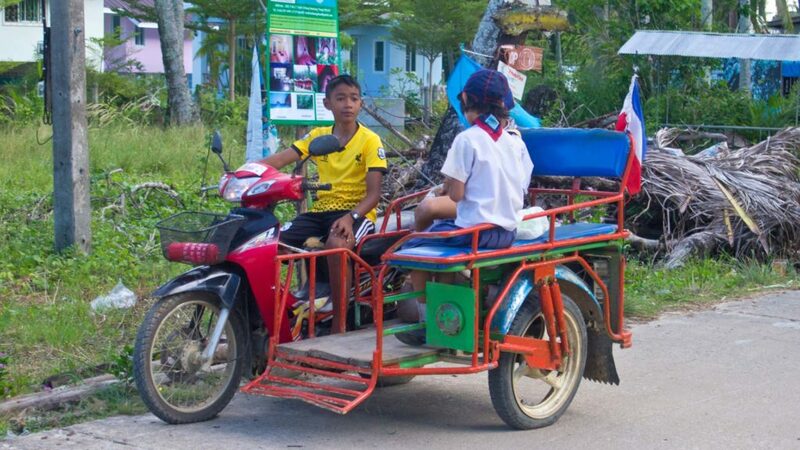 You can get there easily by walking from the village (which takes about 30 minutes) or by taking a motorbike taxi. The price is 50 baht and you get to the beach in just a few minutes. We walked the way there and took a taxi to get back. After the village there is a hill however, but the way is still quite easy to handle. You can just pass the previously mentioned Charlie Beach Resort and will be directly at the beach. Once you get to the beach, you will find the Koyow Restaurant on your left hand side. It has a viewpoint with a gorgeous view on the bay and Koh Kradan. You should definitely go there and have an ice-cold beer or fruit shake and enjoy this view. Also, this beach is suitable for swimming. Although there are a few stones in the water on the left side, you can still have a good swim at the middle of the beach. Just a perfect place for cooling down. 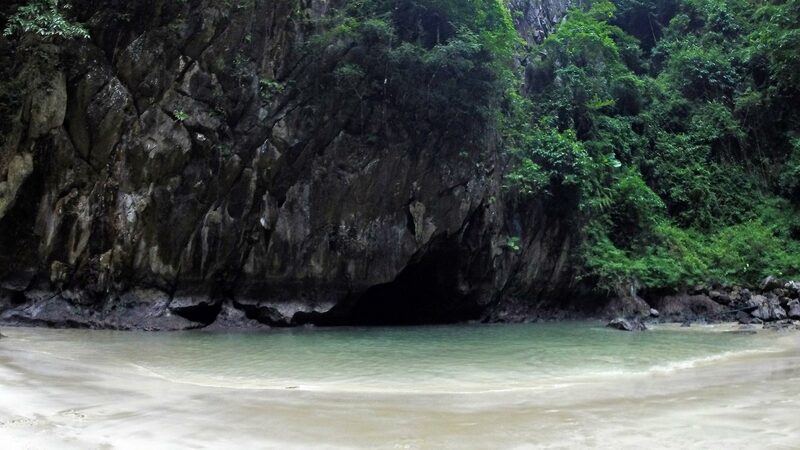 This is another sight – Emerald Cave or also called Morakot Cave – which many visitors on Koh Mook like to see. You can reach the entrance to the cave with a boat. The price is about 600 baht per boat. In the cave there is a small beach that you can only reach by swimming through the cave. But don’t worry, it’s just a distance of roughly 80 meters across the cave. In the middle it is completely dark inside, but most people are going there with a guide that brings a flashlight. Honestly, we thought at first it’s gonna be much more scary, but after 2 or 3 minutes of darkness you can already see the light at the end of the cave. The cave itself can only be entered during low tide. When the water is very low, you can even see a small beach at the outer entrance to the cave. The cave is part of the Had Chao Mai National Park and used to be a hideaway for pirates and their loot a long time ago. 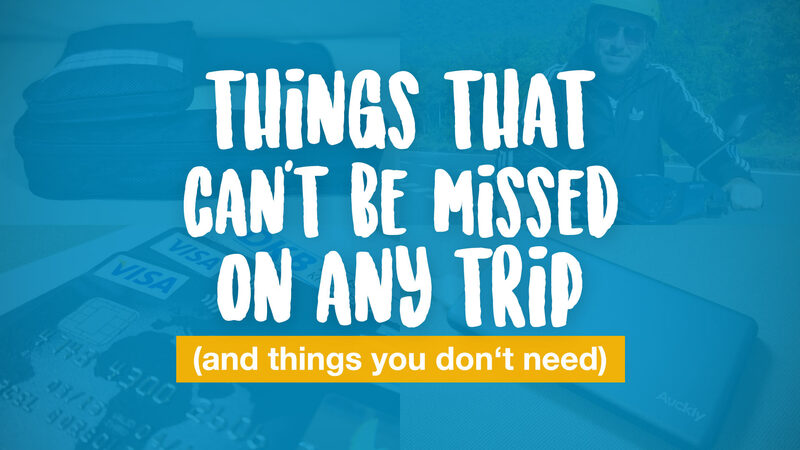 A true adventurous and worthwhile trip that we definitely recommend you to do. 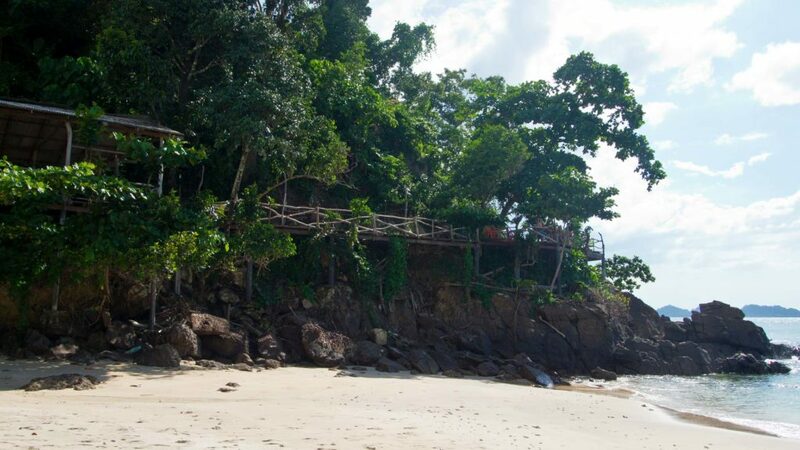 A few meters next to the cave there is the Sabai Beach, which you can also only reach with a boat. Although we haven’t visited this beach, it looked quite lonely and fascinating from the far. Well, looks like we’ll have to catch up on it on our next visit. 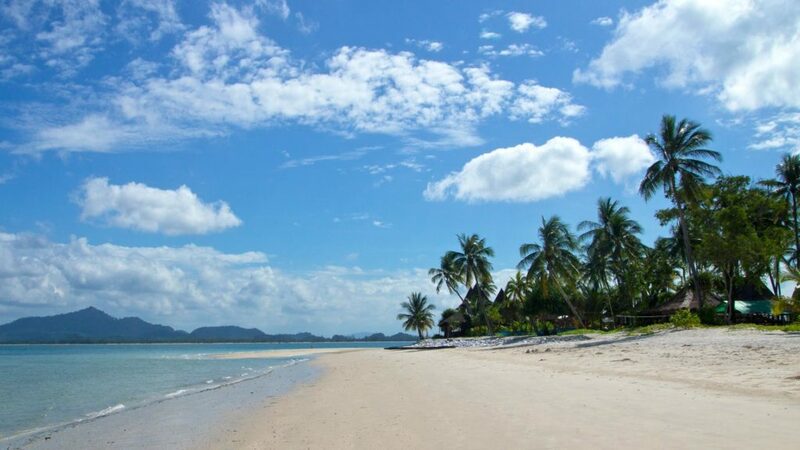 Apart from all that, you can find a very tranquil and relaxed atmosphere on Koh Mook. 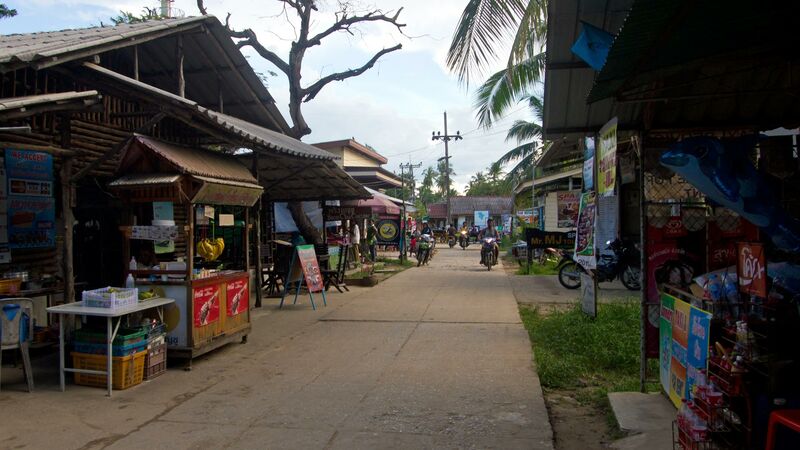 In the little village of Baan Koh Mook there are some restaurants where you can have some low-priced food. Furthermore, there are some small super markets. The village itself doesn’t have too much, but its still worth it to take a walk around and see some of the local life. You can see taxi driving kids, boats that are being built or even guys climbing up coconut trees in order to get some fresh coconuts. Everybody will be happy about a friendly “Sawadee khrap” or just a smile and they will return it with pleasure. Koh Mook is definitely one of the most beautiful islands I’ve visited so far in Thailand. This is not only because of the beaches but also because of the island’s atmosphere. 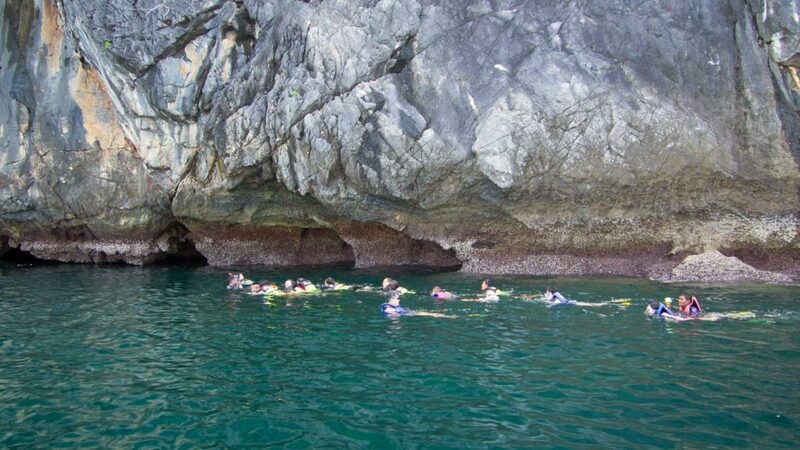 On top of this, you can do great day trips to the surrounding islands for snorkeling or visit caves. 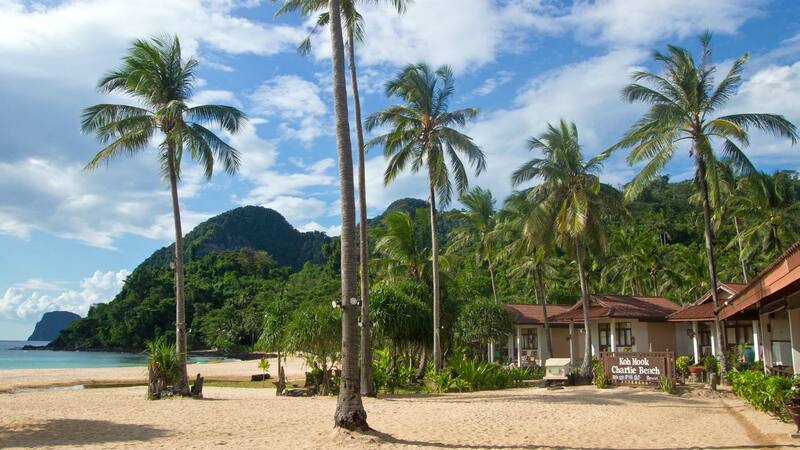 A true little paradise in the Andaman Sea that is surely worth a visit! Have you already visited Koh Mook? How did you like the island? We’re looking forward to reading your comments! Great, thanks for the information. This will be very helpful for many readers. How does one get to Koh Mook from Trang Airport. The most budget friendly way ie. I have 2 nights to spend in one of these exotic islands, which one would you advice. The choice is between Kraden, Mook or Ngai. I actually would prefer to stay on Koh Mook since renting a longtail boat to reach Koh Kradan oder Koh Ngai is much more cheap. And there are more choices of accommodations. Koh Kradan and Koh Ngai maybe more paradise-like, but in terms of food or anything else you have much more choice on Koh Mook. So I would take that island as a base and discover the others on day trips with a longtail boat. I have 2 days spare after visiting Samui and Krabi and before going back to Bangkok. Which island is more beautiful according to u – lanta or Mook? Thanks in advance. in my opinion Koh Mook is much more beautiful. And from Trang on the mainland you can easily fly back to Bangkok. Thanks for the post. I’m thinking about going there. Any info on snorkeling or kayak rentals? Thanks. Snorkeling was awesome on the neighboring island Koh Kradan. You can do a day trip from Koh Mook. Koh Ngai was nice, too. Hello! I was wondering if you think this island can be done as a day trip?!?! They speak English and I’m sure they can give you some better information, if you send them just on Facebook. Thank you for the very informative blog. 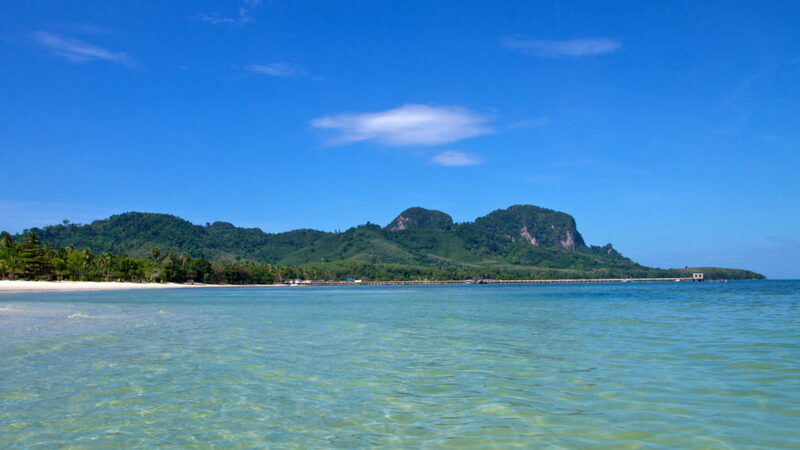 I am going to koh muk in september and ifind your blog truly helpful.